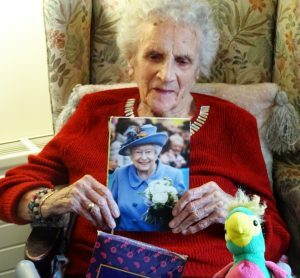 The secret of long life is regular exercise according to Hilda Johnson who has just joined the country’s exclusive centenarian club complete with congratulatory ‘welcome’ card from the Queen, 92. 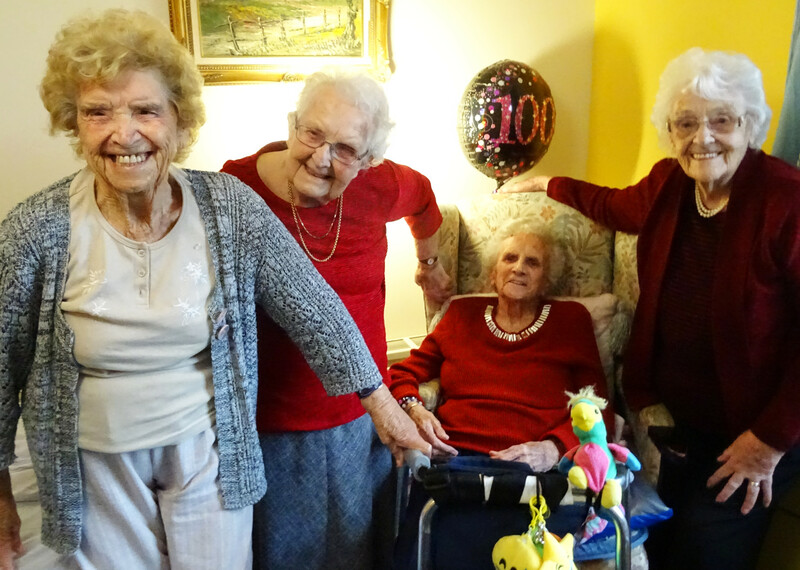 Hilda, who lives at our Princess Alexandra Home, was born in Todmorden 100 years ago. In her teens Hilda worked below stairs as a maid in a big house which, she says, was more like Upstairs Downstairs than Downton Abbey. She later worked as an assistant at Woolworths – the company ceased trading in October 2015 just ahead of its 106th birthday – and also at Marks and Spencer. She met the man who would become her husband in an air raid shelter during the war – they married when she was 21. They had two children. Philp, a railway worker, died in his 60s. Rather than retreat, Hilda made the decision to continue to go out, as she used to love dancing, a great form of exercise, and particularly enjoyed sequence dancing in Rochdale with her lady friends. Family and friends joined Hilda for her special birthday celebrations at the Princess Alexandra Home. Mrs Eileen Maher, who was last year’s star centenarian at the Princess Alexandra Home, became a ‘viral’ media sensation after revealing she drank a can or two of Stella Artois each day – although she’s since in packed the Stella. For the record, Hilda prefers a gentler tipple – Baileys!